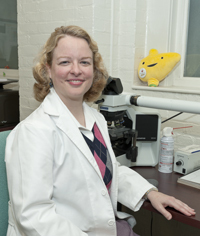 Dr. Hooper is an Associate Professor in the Department of Pathology. She is the Director of the Legacy Gift Rapid Autopsy program at Johns Hopkins and current Deputy Director of the Autopsy Service. She received her M.D. from George Washington University and before Pathology training completed five years of service in the United States Navy including experience as a physician and Medical Department head on board the USS Comstock. She is the creator and former director of the Legacy Gift Rapid Autopsy program at Oregon Health and Science University, where she was an Assistant Professor of Pathology until September of 2014 when she relocated to Johns Hopkins. She has personally performed over 400 autopsies including many rapid research cases. 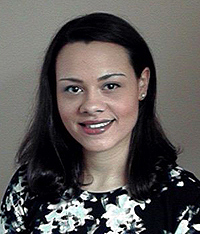 Read more about Dr. Hooper. Ms. Schneider assists in the autopsy suite when cases are performed including organization of sampling, processing and annotating specimens, and dissection. She worked for two years as an Autopsy Assistant at the Medical Examiner's office in Orange County, NY and also has experience with specimen logging, tracking, and communication with funeral homes and families. She is also currently assisting part-time in project and data management for Legacy Gift.